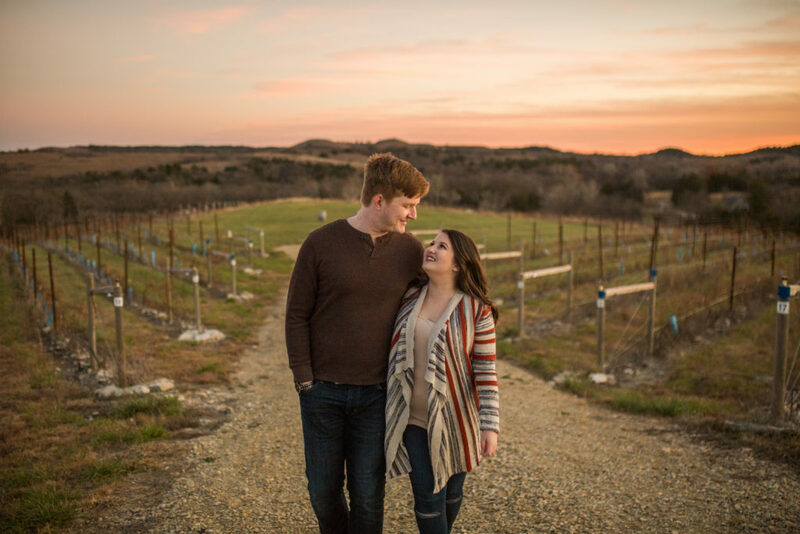 Kaylin and Dakota celebrated their upcoming nuptials with a beautiful Liquid Art Winery engagement photo session, among other favorite Manhattan spots. 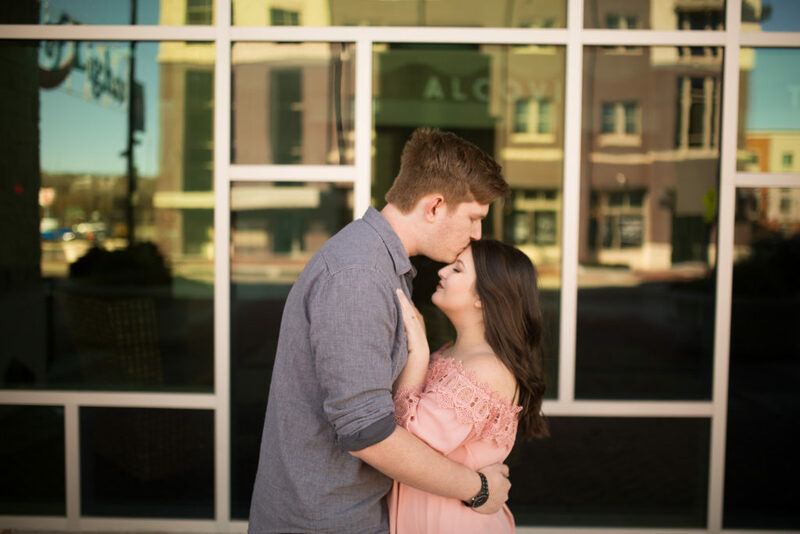 Liquid Art Winery holds a special place in the couple’s hearts, however, as they will exchange vows there on Oct. 20, 2018. Twenty-year-old Kaylin was born in Hawaii, where her father was stationed in the National Guard. After moving around a bit as a child, they eventually settled in Wamego, Kansas, where Kaylin’s father grew up. It’s also where she met Dakota, now 22, in 2011 outside of an English classroom. 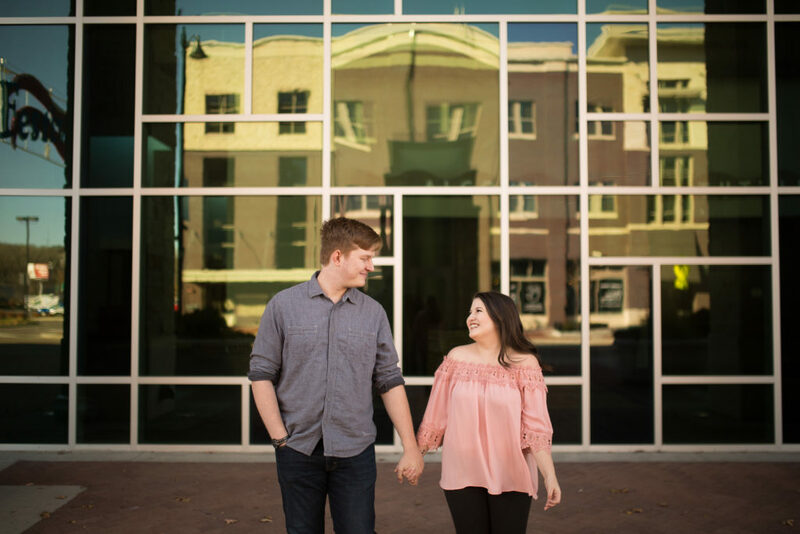 After a casual conversation, Dakota sent Kaylin a Facebook friend request and a message simply saying, “hey.” It must have worked, because just a few months later Kaylin happily accepted Dakota’s initial proposal — to be his girlfriend. The two dated throughout high school and college, attending family holidays together and moving into their first apartment. One of the couple’s favorite memories was Dakota’s 22nd birthday, which happened to be the same day as the solar eclipse. Although it was cloudy, they sat outside together to enjoy the view. 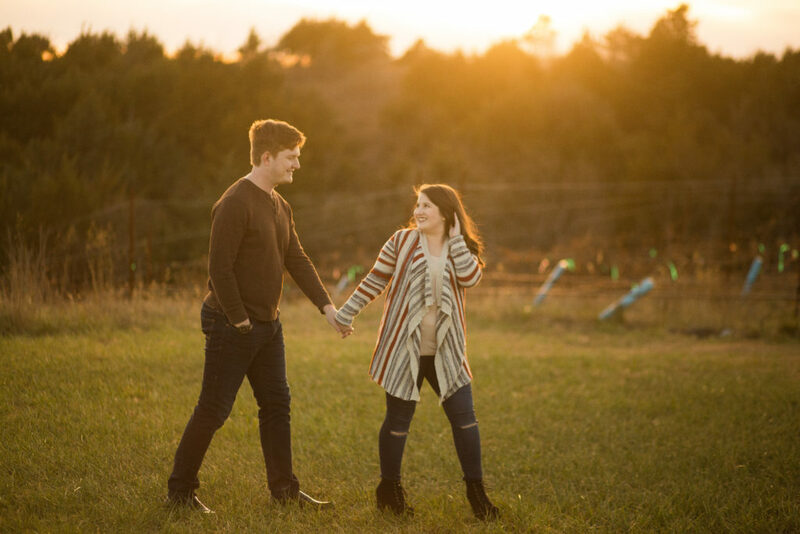 The second and final proposal came years later, on April 26, 2017 at the Tuttle Creek beach. The two had picked out a ring together, but Kaylin wasn’t sure when Dakota would pop the question. Kaylin, a part-time photographer and full-time student at Highland Community College, was taking pictures for her photography class. When Dakota told her to turn around and close her eyes, he placed a piece of paper in her hands. 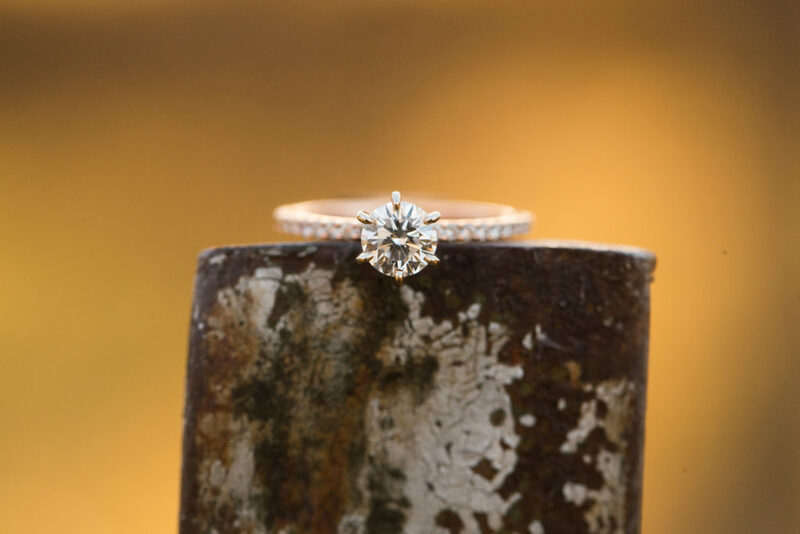 Kaylin opened her eyes and saw a drawing of a ring, followed by the all-important question. Of course, Kaylin said yes. 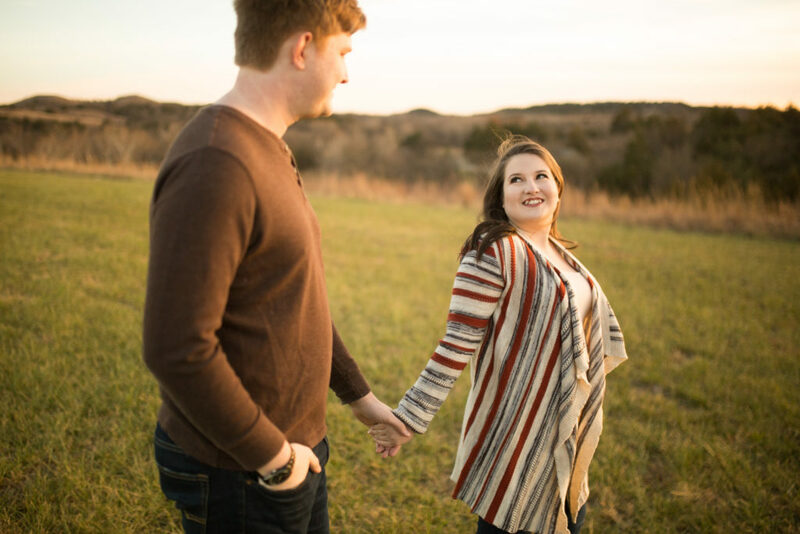 Today, Kaylin and Dakota live in Manhattan, where she has finished college and he is a recent Kansas State University graduate and financial adviser at Waddell and Reed. The couple enjoy collecting — and reading — old books, watching their favorite TV shows and movies, and learning new things together.